Skiddy’s Splash About goat milk soap is gentle and fun. Made with our Old Fashioned Goat Milk Soap, this soap begins with saponified oils of soybean & cottonseed, olive oil, palm kernel, coconut, and corn; goat milk; shea butter’ glycerin and sugar sprinkles. Please do NOT eat the sprinkles, you won’t like them. They dissolve during the first bath. A special process makes this soap float — that’s where the fun comes in. 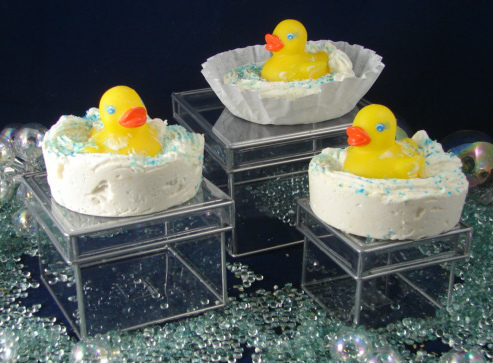 Skiddy floats around the tub on a soap float until the float dissolves then Skiddy remains as a long-time friend. Unscented, Skiddy’s Splash About is gentle for children of all ages.